In a year when freakish weather has devastated crops and food production globally, it’s hardly a surprise to see that prices both in supermarkets and restaurants are on the rise. These uncertain times can make being a consumer seem like a scary prospect, but with the right information anyone can make their budget work, whether going out for a fancy date night or a more casual meal out with friends. By looking at what and where production is being hit the hardest, making the right restaurant choice is a no-brainer. With the growing demand for many staple crops all over the world and the index of global food prices at an all-time high, according to the United Nations’ Food and Agriculture Organization (FAO), the instability of the global environment is driving up food prices both at home and abroad. Extreme weather conditions and the use of pesticides and other chemicals are contributing to the increasing uncertainty of crop production and consequent price increase for major components of the global food supply. One of the greatest threats posed to production is the disturbing collapse of bee colonies worldwide. Honey bees are responsible for a major part of animal pollination, which over a third of global farm production depends on. According to agri-business lender Rabobank, United States bee colonies failing to survive through the winter are up to 30-35%, compared with 20% in Europe, from the historical average of 10%. Although many staples like wheat, corn, and rice are pollinated by the wind, others like nuts, many fruits and vegetables, coffee, and cocoa rely on the domesticated honey bee. Fortunately, the Rabobank report ascertains that farmers have managed to continue producing crops at a normal rate despite fewer colonies, though if countries do not establish a review of pesticides and chemicals used that may affect the lifespan of the bees the trend may not continue. France, Germany, and Italy have already banned the use of several pesticides known to affect bees. Aside from the dwindling honey bee population, many crops are also being affected by extreme weather conditions that are affecting crops globally, driving up prices for manufacturers and therefore consumers. Frost damage in Florida caused the US Department of Agriculture (USDA) to project lower numbers for the production of oranges, which will drive up the price of products like orange juice in the US where Florida contributes most of the nation’s orange supply. Australia, a major exporter of sugar, has suffered extreme storm conditions and flooding, driving up prices of sugar to 36 cents per pound, a 30-year high, which is expected to continue to rise. More recent flooding in the US Midwest is expected to devastate 2% of the entire corn and soybean crop, according to the USDA. With the high demand for corn from the US for both food and ethanol in fuel and from the shortage in China, the global corn stores are at their lowest since the mid-1970s. The good news is that while there will almost certainly be a price hike for many crops affected by the weather in the short term, crops are expected to bounce back and begin yielding normal production numbers by mid-March. What does this mean for the US? Corn and soybeans are both crucial to the food industry as feed for farm animals and in processed foods as high-fructose corn syrup and oil. Prices for each are growing steadily, with corn at twice the cost from last year and soybeans approaching a record high. Weather damage globally is causing major companies like Kellogg’s to raise prices 3-4% in 2011, according to their recent earnings report. Similarly, the coffee bean supply is coming into question as some Central and South American countries like Guatemala and Brazil are being accused of withholding some of their crop with the expectation of driving up coffee prices. Companies with popular brands like Folgers (J.M. 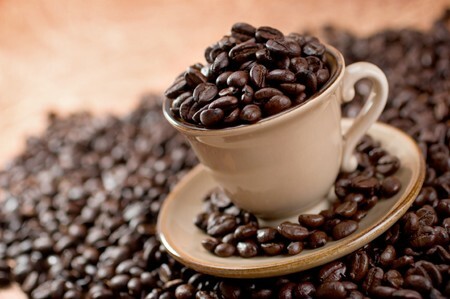 Smucker) and Maxwell House (Kraft) are raising costs as much as 12% to keep up with the rising cost of coffee beans. According to Consumer Price Index (CPI) projections, overall prices for both in-home dining and dining out are expected to raise 2-3% in 2011 compared to the mere 1.3% rise in 2010, which was the lowest since 1955. As prices continue to rise, fine dining establishments are being forced to increase their prices to cope with increased costs of food. With all these factors contributing to increasing prices, how is it possible to avoid taking a hit to your wallet when you want to enjoy a night out? By doing a little homework you can easily determine how to make sure the quality of the food meets the price. It’s no secret that fuel prices are a major expense, and with increased gas prices comes increased shipping cost. Restaurants that use products shipped in from all over the world, or even just across the country, have to account for these extra costs when ordering their food supplies. To keep from paying for these costs yourself, look for establishments that focus on locally grown, seasonal produce and meat. Locally produced food avoids the extra shipping costs and supports the local economy. Also, the use of seasonal ingredients means importing out of season produce from foreign countries is unnecessary, further evading extra shipping costs in addition to the advantage of lower costs associated with buying in-season produce. As an added health benefit, eating locally grown, seasonal produce means shorter shelf life, leading to greater overall nutrient retention and flavor which goes directly to you. Another way to combat the rising prices is to order an appetizer or two instead of an entrée, or alternatively split your meal with a friend. Many portion sizes have gotten out of control over the years and by ordering off the appetizer menu, you can still have all of the flavor while avoiding the cost for an entrée you might not finish anyway. Splitting a meal with a friend is also a great way to cut the bill without compromising quality and taste. However, if none of your dining companions want to split a dish or the appetizers just don’t have the appeal of a main course, try saving some to take home as leftovers. This way you can still enjoy your meal out but the cost spans over two meals instead of one. Finally, be sure to check out if the restaurant has any special deals ahead of time. Some places offer discounted wine or drinks on certain days or offer happy hour specials at the bar. Others have prix fixe menus on a specific of the week, which allow you to get a multi-course meal for what often ends up being far below the normal price for each dish. Also be sure to check out if the restaurant offers a separate lunch menu. Often restaurants have cheaper versions of their dinner menu at lunch time, so going earlier in the day may be a better option for your budget. Considering all of the ways the food industry is affected by the global environment, rising prices can seem daunting to diners. But armed with the right knowledge, you can rest assured that your choice of restaurant is the right one for your budget, regardless of the occasion.